Burial rites of passage for the Traditional Paramount Chief of the Awuah Domase Traditional Council. The AKAN, (according to J.B. Danquah). 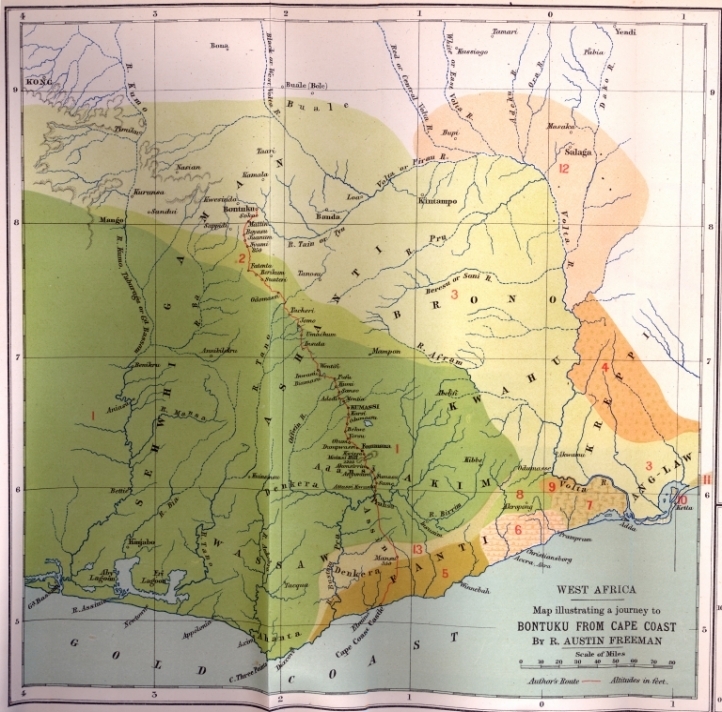 One of the principal races in West Africa, inhabiting the Gold Coast, the Ivory Coast, some parts of French West Africa, up to the old kingdom of Ghana (near present Timbuktu), and speaking the Twi (Twui) language. 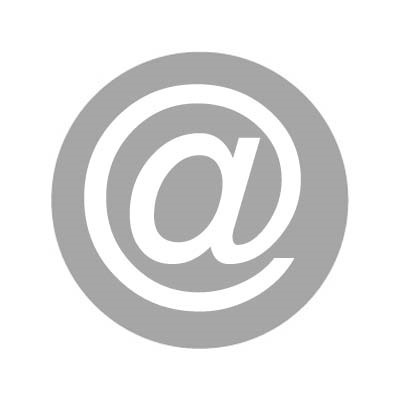 The word is often pronounced Akane, and it is said to mean "foremost, genuine"; from kan, first. The best known representatives of the race are the Ashanti, Fanti, Akim, Akwapim, Assin and several of the present (Twi-speaking) races of the Gold Coast and Ivory Coast. The original form of the name, Akane or Akana, led to its corruption by the early Arabs of the Sudan into Ghana and by early Europeans who visited the the Coast of West Africa into Guinea. The Akan people were driven from their ancient home in Ghana, on the bend of the Niger, by the Almoravides (Molathemum or Muffled Moslems) in A.D. 1076. There was a tradition in Ghana (vide Flora Shaw, Lady Lugard: "A Tropical Dependency"), that the people of Ghana had originally come to the West Sudan from a country beyond or near the Taurus mountains (Taurudu). 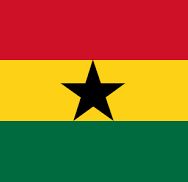 The current theory that the Ghana or Akane in Taurus was the same as the old Babylonian race known as Akkad, Agade or Akana, who lived on the Tigris and Euphrates, is strongly supported by the evidence of common features in the language of the ancient race and of the modern, as also in their customs. Archaelogy and anthropology have as yet revealed little, but Sir Henry Rawlinson and other Assyrologists bear testimony to the similarity between the language of Sumer and Akkad and certain African languages, an ancient group which is not Semitic. 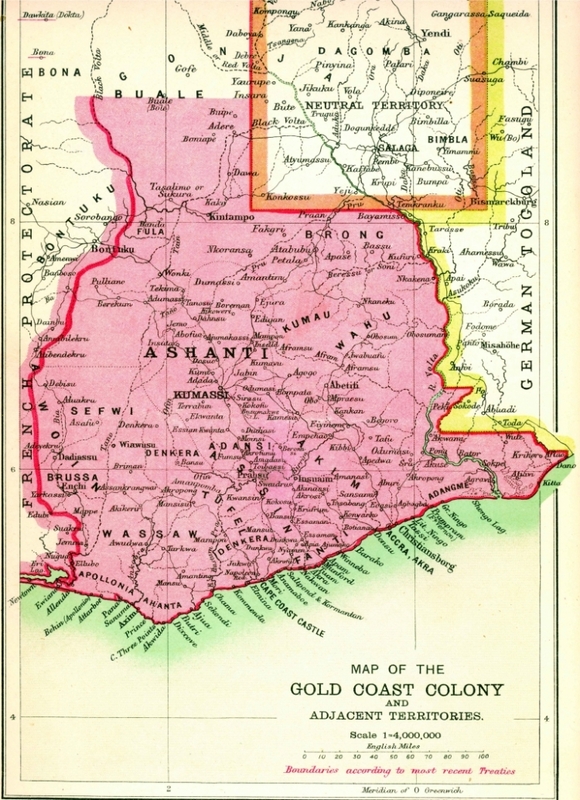 The Akan people of the Gold Coast have not been written up as well as well as they could be, but there is everything in favour of the hypothesis that they are an ancient race; that their institutions and customs are of ancient origin, e.g., the seven-day week, and that their sojourn in the Gold Coast, which is less than 900 years, is much shorter than their traceable sojourn as a people in the ancient and modern worlds. Rudimentary colonial era map showing the relative locations of Odomase and her neighbours. 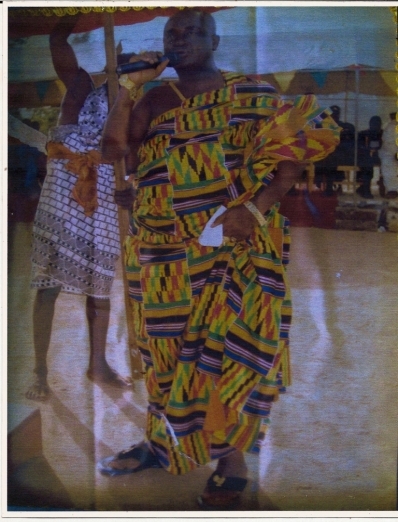 Reproduced from "Akan Traditions of Origin". Each box in the family tree includes known siblings. Thus, Afua Moku, aka Afua Fofie, a Dwaben woman who was the birth mother of Baafuor Amankwatia, first Bantamahene, as well as the wet nurse/mother (obagyegyefo) of Opemsuo Osei Tutu I, Founder of Asanteman, had two sisters. 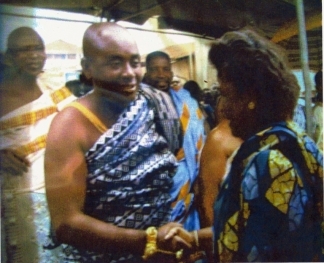 An older sister, whose name is not known at the moment, was the mother of Adu Gyamera, the IIIrd Bantamahene, who sided with Aberewa Poku in a well-known Asanteman succesion dispute and was consequently destooled by Okatakyie Opoku Ware I. 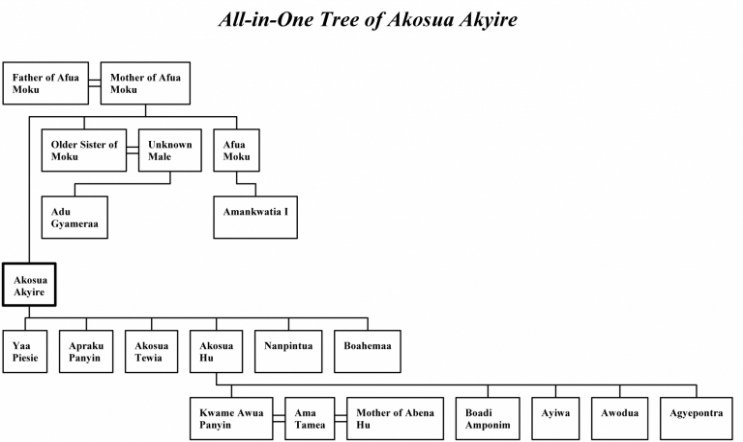 Another sister, Akosua Akyire, who emigrated with the Kwatwoma from Suntreso to their current location in Seketia (Brong Ahafo Region) via Susuanso, essentially ended up supplying the long line of subsequent chiefs of Bantama and Awua Domase, starting with her son Apraku Panin, the 2nd Bantamahene. ....The end of this day's march brought us to the village of Tetcheri [Tekyire]. Illustrated are the family links of the Chiefs of Awua Domase and Bantama. 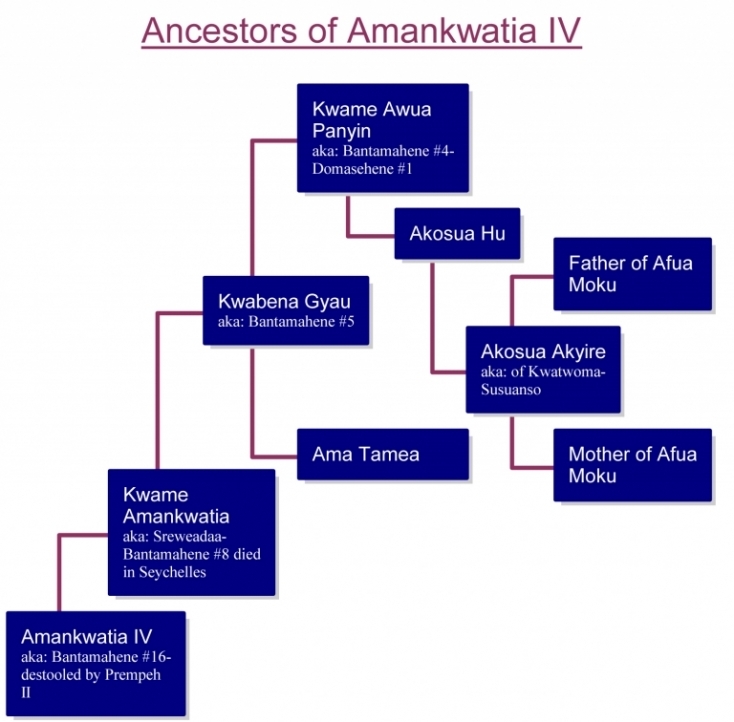 The first four chiefs of Banatama were, in succesion, Amankwatia I, Apraku Panyin, Adu Gyamera, and Awua Panin, all of whom may be found listed on the family tree. 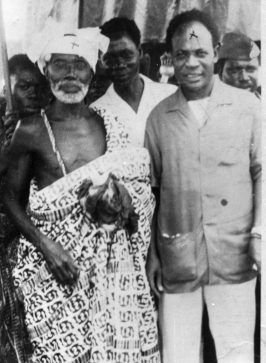 Awua Panin, who established Awua Domase for his nephew Kwasi Kra Bosomtwe, was also the IVth Bantamahene and, de facto, the first Awua Domasehene. ....The end of this day's march brought us to the village of Tetcheri (Tekyire). After seven hours' marching we arrived at the town of Odomasi, a place apparently of some importance. The name signifies "under the Odom", which latter, I was informed by a native of the place, is a tree of somewhat small size characterized by a poisonous bark, the properties of which are so deadly as to occasion the death of any rats that may happen to gnaw it. The bark does not appear to be used medicinally, but it furnishes a poison that is made use of as an ordeal in some native trials. The Odom (my informant stated) must not be confounded with the Odum, a large hardwood tree... resembling the Bombax in external appearance.... common in the forest and gives its name (Odumasi) to a number of towns and villages. .......In spite of the man's emphatic statement..... I am inclined to think that this town was really named Odumasi, since I observed a large Odum tree in one of the streets. 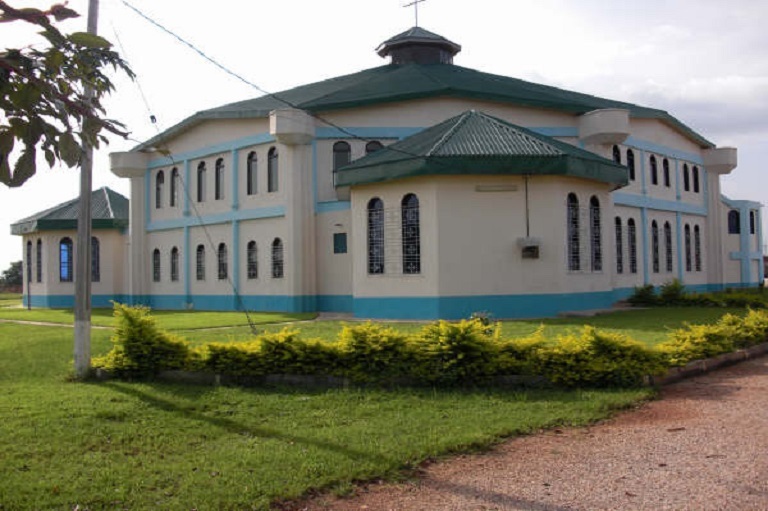 ......The captive turned out to be Kobina Cherri, and he was brought back a prisoner to Odumassi. Kobina Cherri was tried for murder by a military commission, found guilty, and sentenced to be hanged. The sentence was carried out on the morning of the 25th November, and true to the instincts of his race he marched to the scaffold with a firm step, his head erect, and his eyes glaring defiance at the white men. The return march was begun on the 14th, and just before the column reached Odumasi news was received of the capture of Kobina Cherri. Major Browne had heard from a daughter of one of the men... that he was... in Suinjam [Sunyani], a village about two hours' march from Odumasi, and sent four sections of the West Africa Frontier Force, under Lieutenants Kingston and de Putron, to surround it. When they entered the village, the people hurried out of their houses in great alarm, but found their escape cut off by the cordon of troops, and Native Officer Daniells, who understood Ashanti, heard them calling to one man in particular to run and hide himself. Feeling sure that he must be someone of importance, Mr Daniells gave chase and seized him, when his identity was soon discovered. When brought before Major Montanaro, he was openly defiant, and called on the Berikum Levies to rescue him. The column marched into Kumasi on the 23rd.... The burning of Odumasi on the 17th had nearly ended in disaster, for, owing to some mismanagement, the place was prematurely set on fire, and the sick were only got out with the greatest difficulty, while the officers and men of the rear-guard had to run for their lives through the flames. 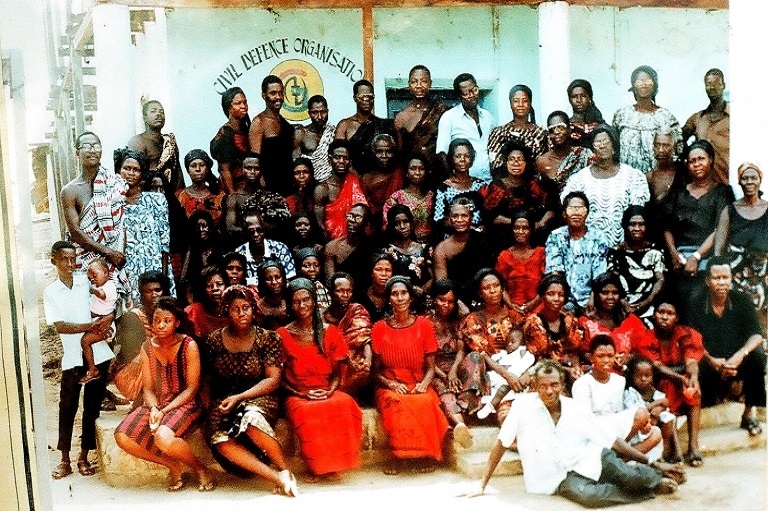 Kobina Cherri was tried by a Military Commission, found guilty, of murder, and sentenced to death. He maintained his defiant attitude throughout the trial, but afterwards sent for Sir James Willcocks and offered to buy his life... but his offer was refused, and he was hanged in the market-place of Kumasi on the morning of the 25th in the presence of the whole garrison and population. Once he found his life was really forfeit, his courage never failed him: he walked firmly to the gallows, with head erect, and his eyes glaring defiance at his enemies. As he passed some Krepis who had tremblingly given evidence against him, he spat contemptuously on the ground, and after he had climbed the scaffold, stood on the drop as erect as a soldier on parade. There was not a man present who was not impressed by his bearing, and an involuntary murmur of admiration arose. 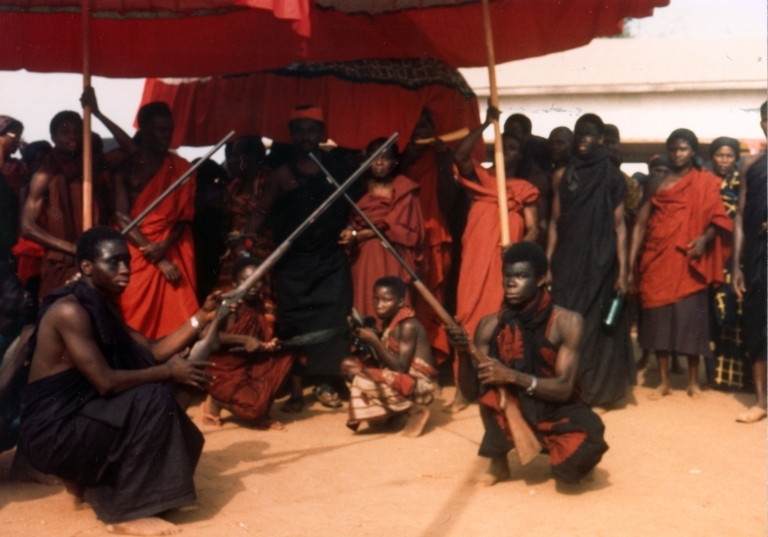 Nana Kwabena Kyere, occupant of Bosomtwe Stool of Odomasi in the former Western Asante boldly surrendered himself to the British soldiers when he learned that Yaa Asantewaa had been arrested after the war. He led his subjects to attack... whites and their supporters when Asante declared war on the "white man". The Odomasi Stool is an extension of the Kurontire Division of the Kumasi Traditional Council, which is headed by Bantamahene. 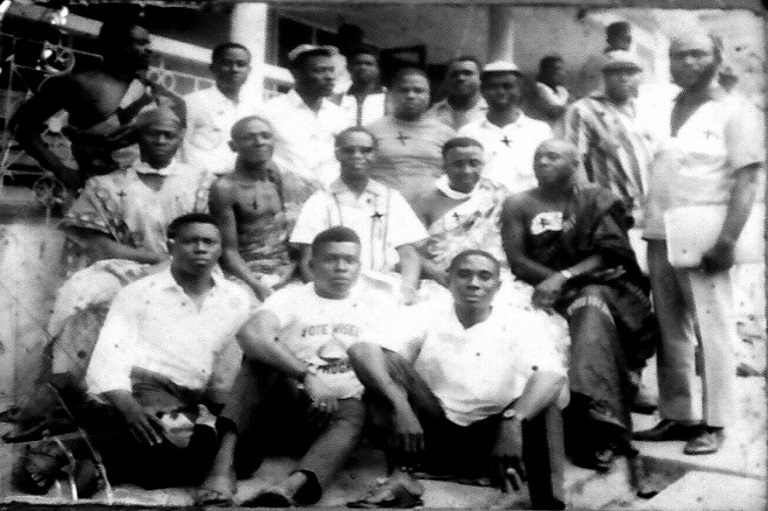 Nana Kwabena Kyere demonstrated his loyalty to the Golden Stool by taking part in the war to defend the Sacred Stool from being captured by foreigners. He was taken to Kumasi on July 23 [actually, November 23, see account by Capt Armitage et al] tried on the 24 and hanged on Sunday, the 25th 1900. His execution on Sunday gave the Odumasi Stool the oath- "Kwasiada". 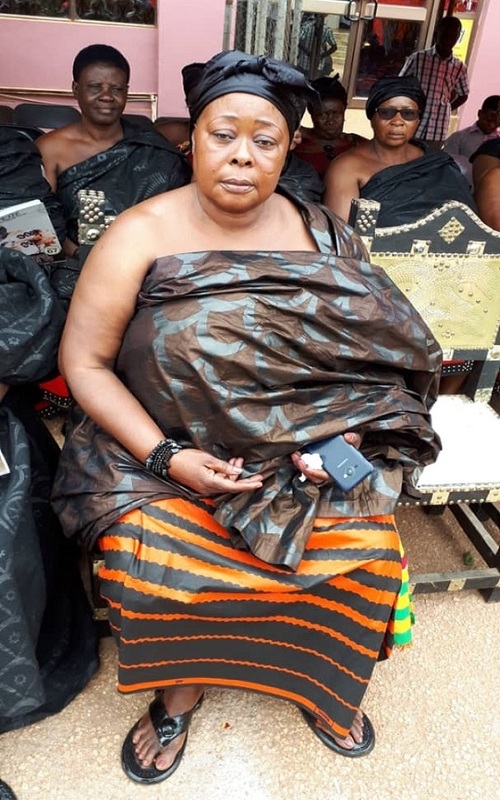 Moments after his execution, Nana Kwabena Kyere was granted posthumous pardon on Monday the 26th by Her Majesty, the Queen in a telegram ordering the release of all detained captives of the Yaa Asantewaa War. Nana Kyere had been hanged shortly before the Queen's message was received. Nana Kyere thus became something of a legend as a result of the clouds which overshadowed the sun thoughout the day of his execution. 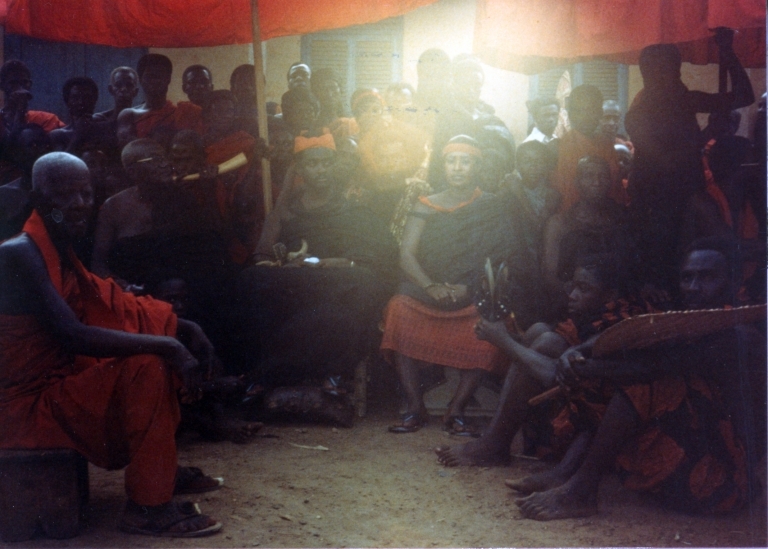 Nana Kyere had been nominated to succeed Nana Amankwatia, Bantamahene, but this was delayed because of the Yaa Asantewa war. 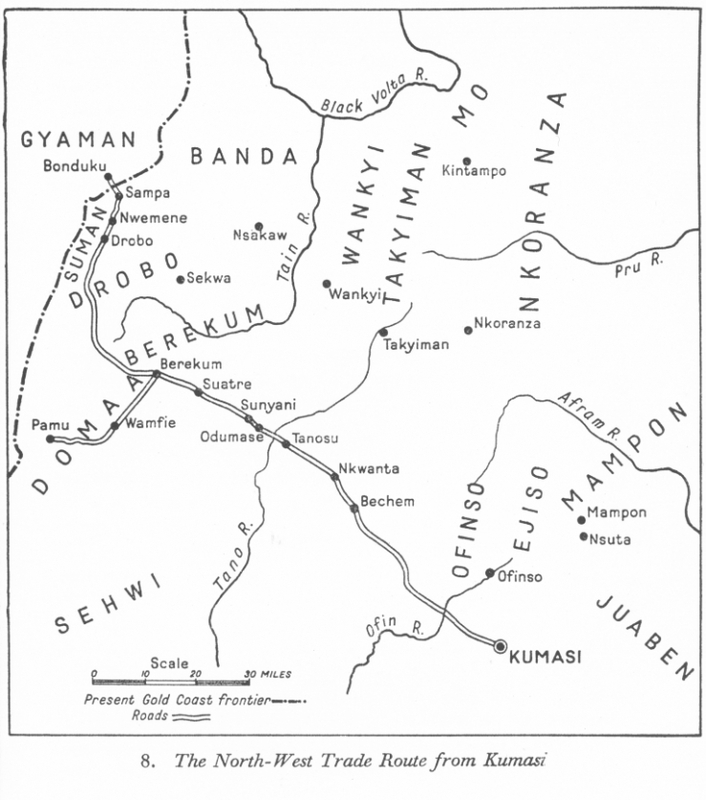 Gold Coast map lists Odomase next to Wenchi (Wenki), Berekum, and Techiman, the important towns of the era. 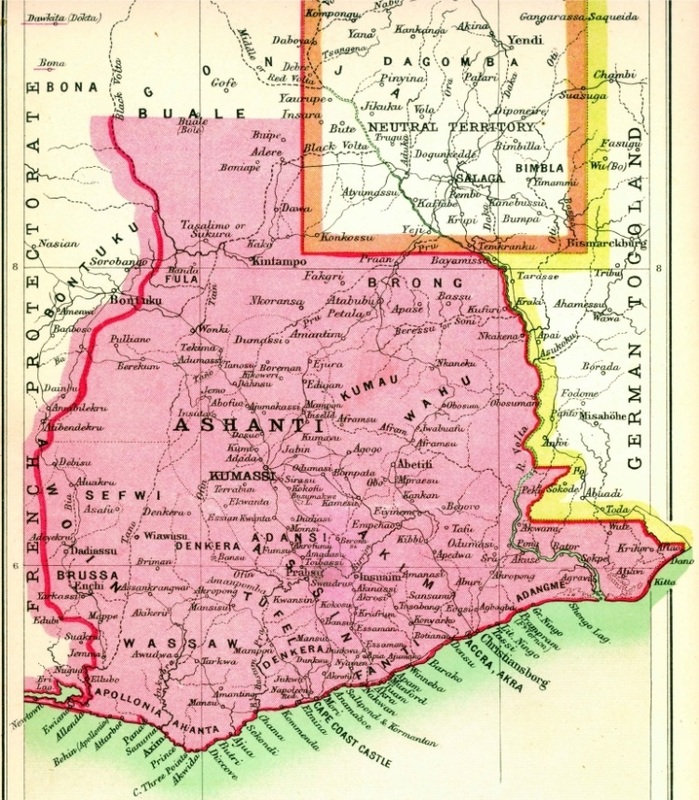 Sunyani, which was subsequently elevated to the status of District and Regional Capital by the British in 1919, following the Yaa Asantewaa War and apparently because of frequent and persistent harassment by the hostile Odomase warriors, is nowhere to be found on the map. 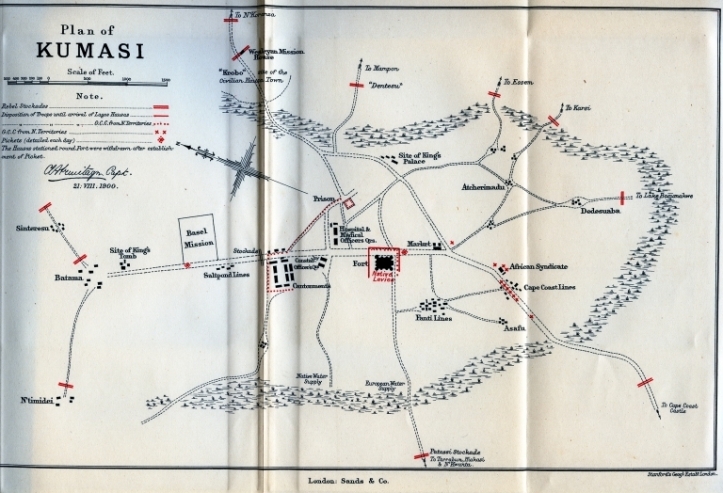 Layout map of Kumasi in 1900 as depicted in Capt Armitage's book on the Yaa Asantewaa War. A Crocodile Swallowing A Mudfish (extracted from photo of Nana Korang VI and retinue, below). Pitire kɛseɛ a ɔda bunu mu ɔmemene adeɛ a ɔmemene ma ne wura dɛnkyɛm. To wit, "One head does not constitute a Council". This design might be worn by the Asafo, Adum, and Bantama chiefs. The warp is entirely green, and the pattern takes its name from the weft design. [see examples below. Photos courtesy of myjoyonline.com]. Literally, the back of Gyawu's head. Gyawu was a chief of Bantama who at the annual Odwira ceremony is said to have had his head shaved in this fashion. 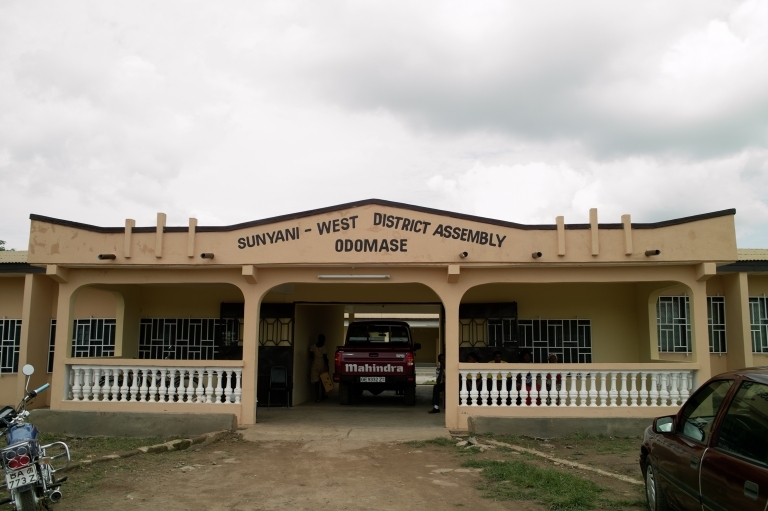 Separating the Dormaa divisions were Sunyani, Antepim and Bosomtwe-Domase, Nsoatre and Berekum, which were administered as parts of Bantama, the Kronti division of the Kumasi state. 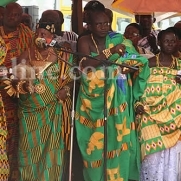 The current Omanhene of Awua Domase, Nana Kwame Korang VI, sitting in state with his Queenmother, Nana Akua Konamah II, and their retinue at a national state governmental function. 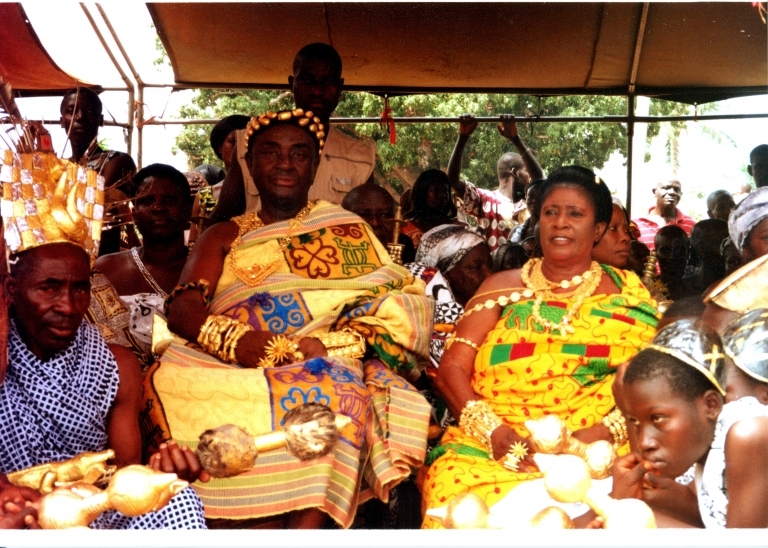 The Queenmother of Awua Domase is seated to the left of Nana or, rather, and more accurately, Nana is seated to the right of the Queenmother, as is customary. 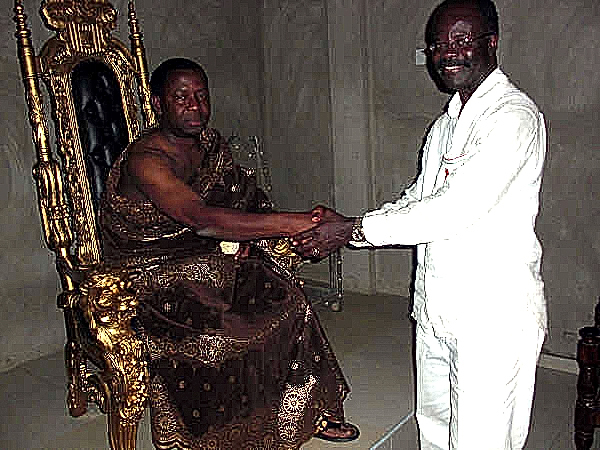 The Convention People's Party's (CPP) Presidential Candidate, Paa Kwesi Nduom, visiting with Odomase Tiahene Odomfuor Kwasi Apraku III during Ghana's 2008 Presidential Election Campaign. 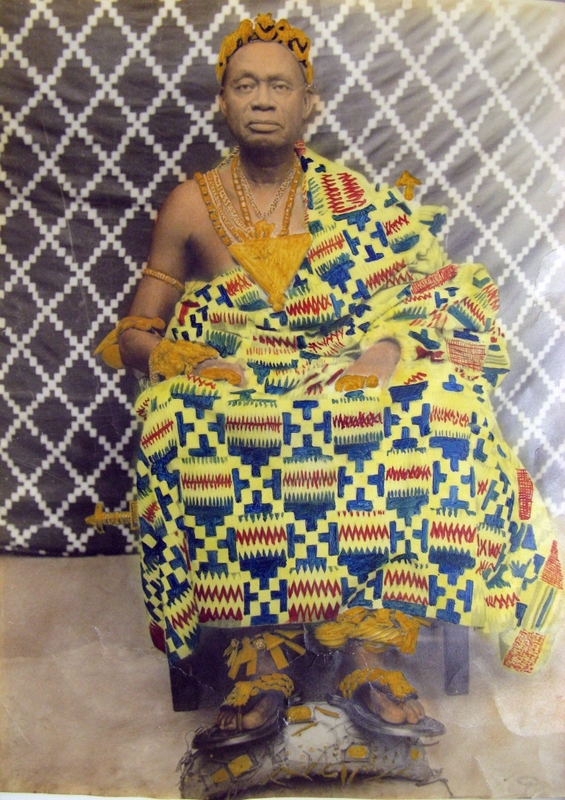 Odomase No 1 Omanhene, Nana Odomfuor Kwasi Apraku III (aka, Tiahene). 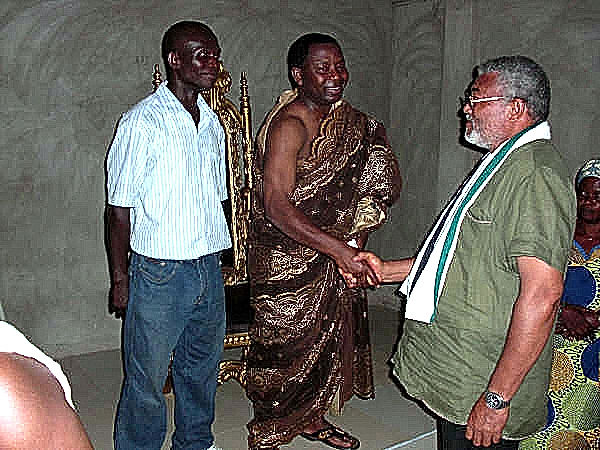 Former Ghanaian President, Jerry John Rawlings of the National Democratic Congress (NDC) Party visiting with Odomase Tiahene Odomfuor Kwasi Apraku III during Ghana's 2008 Presidential Election Campaign. 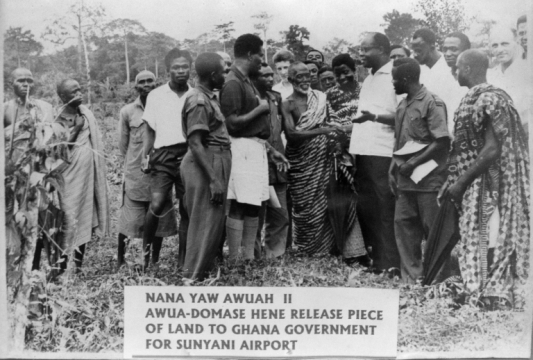 Sunyani Airport: Awua Domasehene Nana Yaw Awua II releases land to the Government of Ghana. 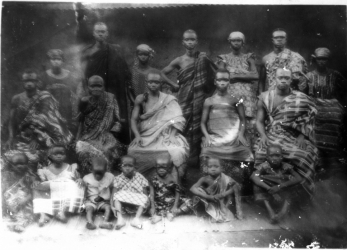 Nana Kofi Awua III and Family. 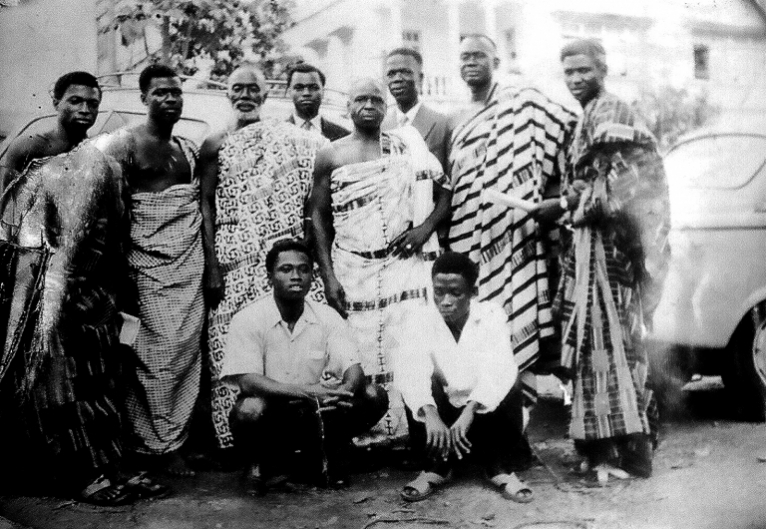 Back row, left to right, Ataa Panyin, Nana Kofi Awua III, Akua Gyau, Adum Yaw, Afua Owusuwaa, Akwasi Sarpong (Nyankomago), Ataa Kakra. 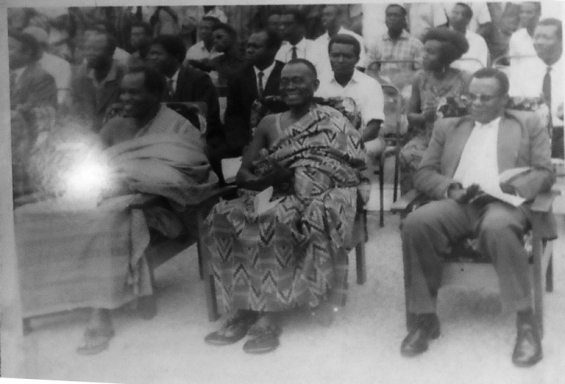 Seated is Nana Kofi Awua's mother. The rest are siblings and cousins. 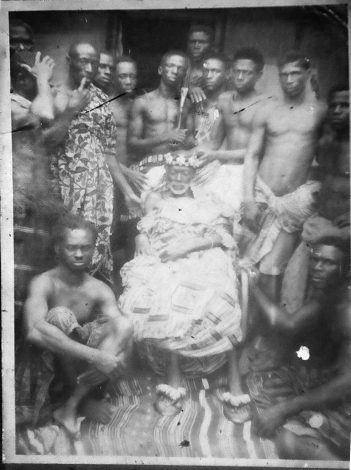 Nana Yaw Awua II surrounded by his retinue. Circumstances are unclear. 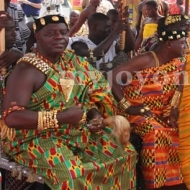 The current Omanhene of Awua Domase, Nana Kwame Korang VI, mourning the passing of a Divisional Chief. 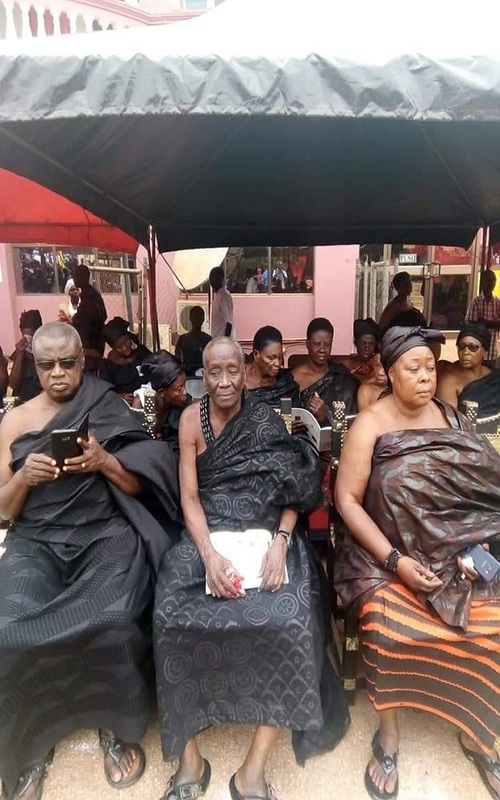 The current Omanhene of Awua Domase, Nana Kwame Korang VI, seated with his Queenmother, mourning the passing of a Divisional Chief. The name Kwatwoma was derived from the Red Clay which we used to besmear our bodies as a symbol in time of war. 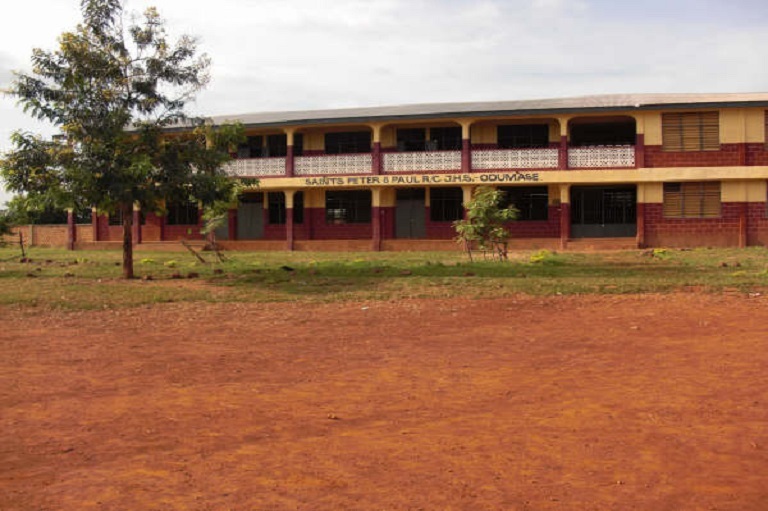 Therefore as a result of this, the Kwatwoma were named after the Red Clay "Ntwoma". 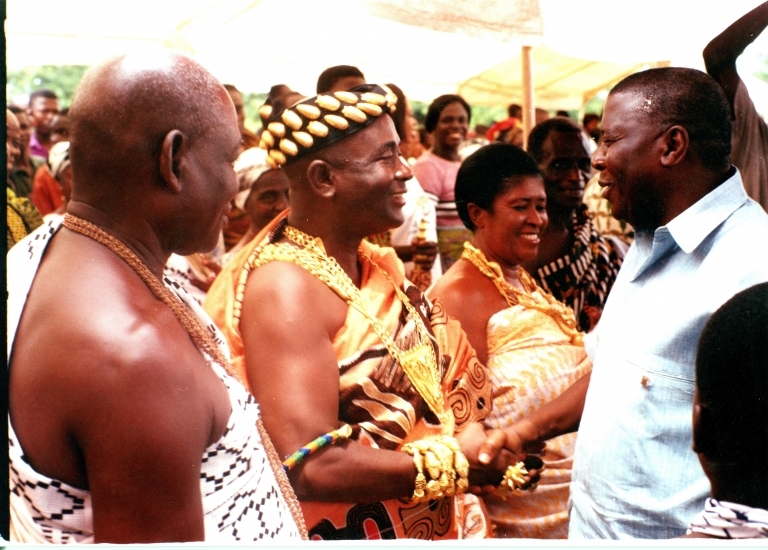 As a result of frequent wars with the Akwamus in Akwapim, we the Kwatwomas had to migrate under the leadership of the great chief Nana Boahene Korkor to find solace in a large area of forest in Ashanti where he met two men hunting for elephants. 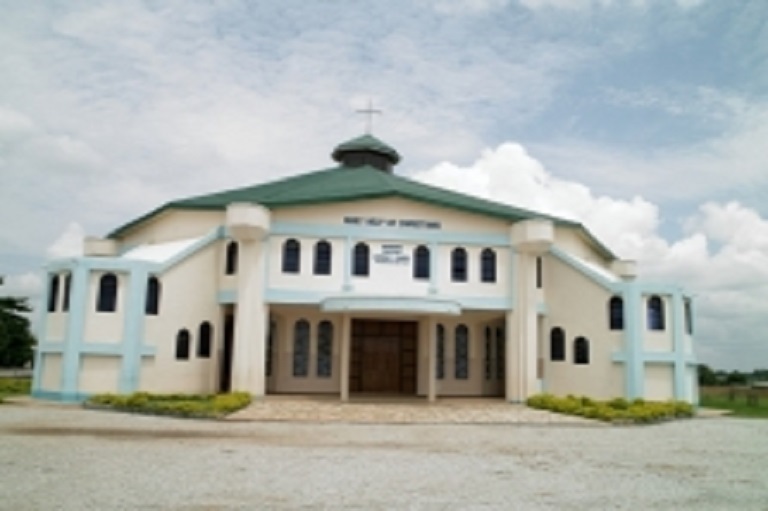 He therefore settled at Suntresu near Bantama in Kumasi. Many Ashanti mothers do not feed their infants for the first two or three days after birth, but call in a wet nurse (obagyegyefoɔ), lit. 'one who receives the infant'. In the case of a child of the Oyoko or Royal clan, from which were drawn the Ashanti kings, this was always done. The woman so chosen was compelled to send away her own child and to nurse the royal baby. Such a foster-mother found great honour; she was fed on the best food and richly dressed; she might be given 'a stool' and subjects, and so become the founder of a new house. Her own child, which she had been compelled to leave with another woman to suckle, might also be made a chief. Many of the Coomassie [Kumasi] chiefs owe their position to this cause in the olden times. 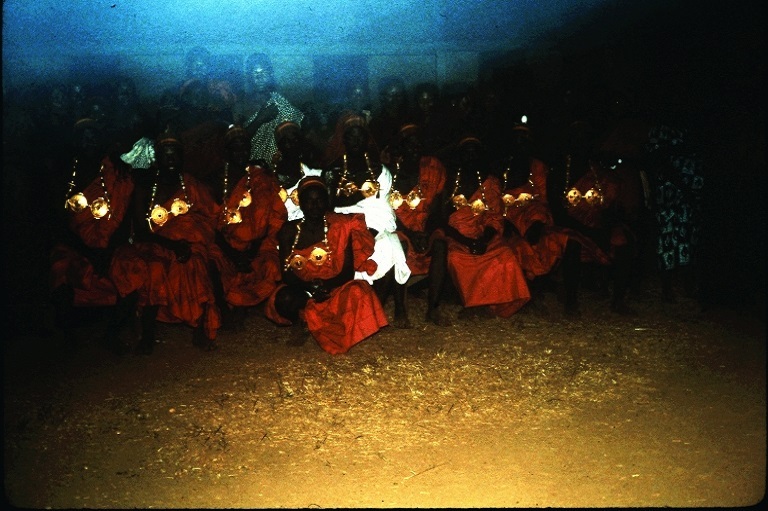 Afua Fofie [aka Afua Moku, a Dwaben woman], an ancestress of the present chief of Bantama, the Ashanti war lord, suckled the famous Ashanti king, Osae Tutu [Osei Tutu]. 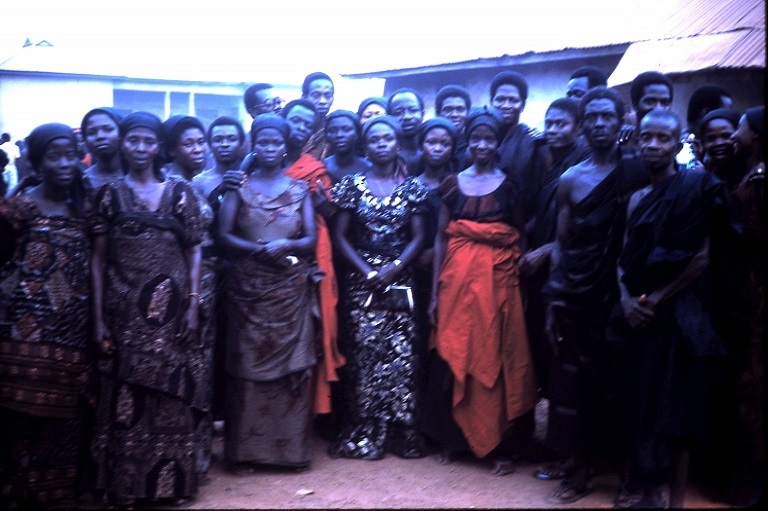 Afua Fofie was mother of Amankwatia who was created the Chief of Bantama. Afua Moku, aka Afua Fofie, a Dwaben woman, was the birth mother of Baafuor Amankwatia, first Bantamahene, as well as the wet nurse (obagyegyefo) of Opemsuo Osei Tutu I, Founder of Asanteman. She had two sisters. 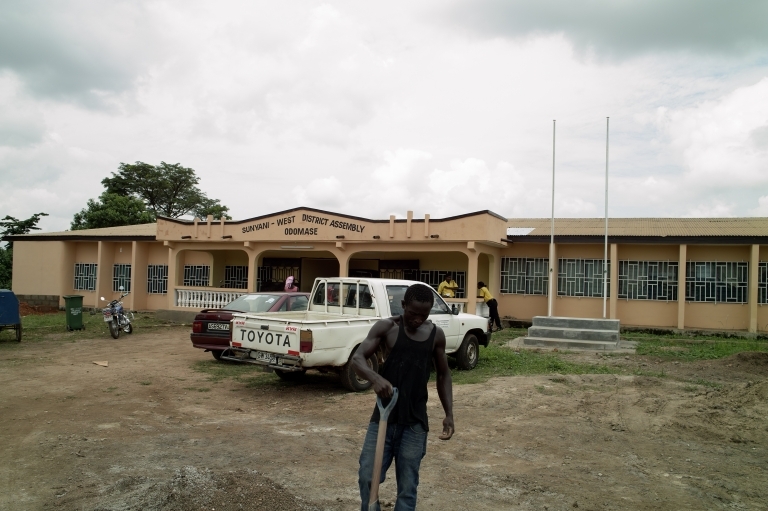 An older sister, whose name is not known at the moment, was the mother of Adu Gyamera, the IIIrd Bantamahene, who sided with Aberewa Poku in a well-known Asanteman succesion dispute and was consequently destooled by Okatakyie Opoku Ware I. 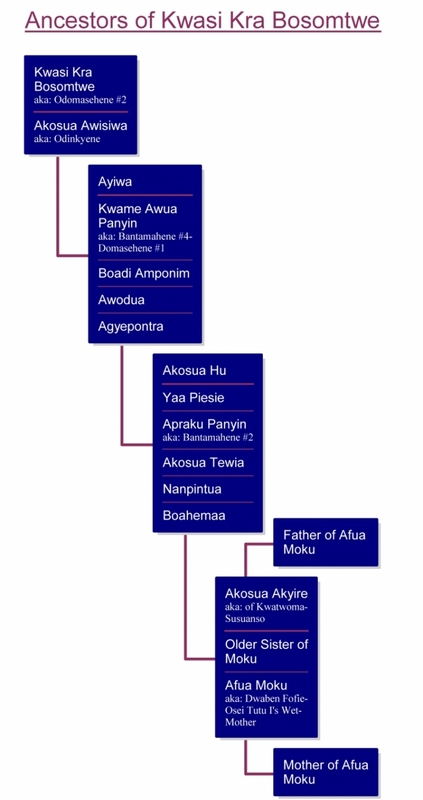 Another sister, Akosua Akyire, who emigrated with the Kwatwoma from Suntreso to their current location in Seketia (Brong Ahafo Region) via Susuanso, essentially ended up supplying the long line of subsequent chiefs of Bantama and Awua Domase, starting with her son Apraku Panin, the 2nd Bantamahene. Ref: Osei Kwadwo, Part 2, Vol 1. Bantama stool is among the four stools in the Kumase state which enjoy paramount status. 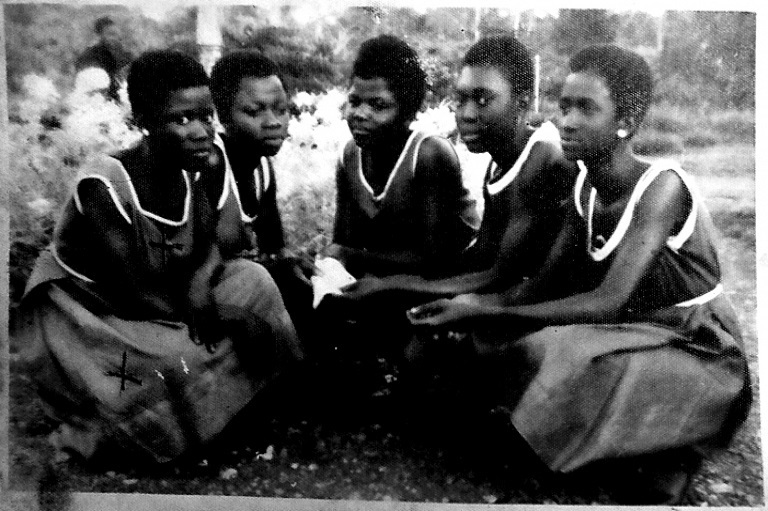 The rest are Akyempem, Akwamu, and Adonten stools. Bantama stool is the paramount stool for the Kontire division of Kumase state. 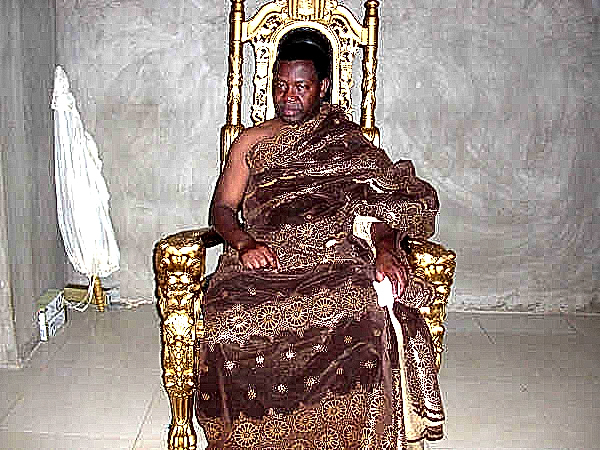 The first occupant of the stool, Baafoɔ Amankwatia I and his people were believed to have come from Sebedie, near Kokofu. 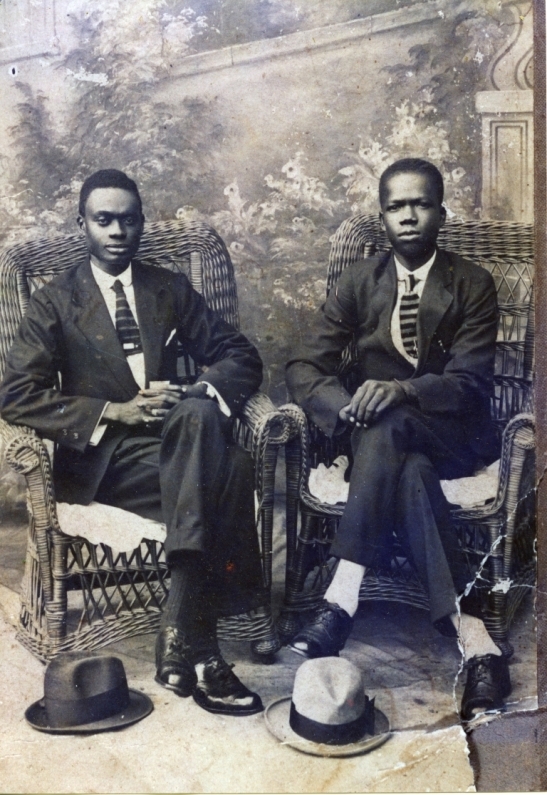 Baafoɔ Amankwatia I, who was the first occupant of the stool, was a friend to Nana Osei Tutu during their youthful days. 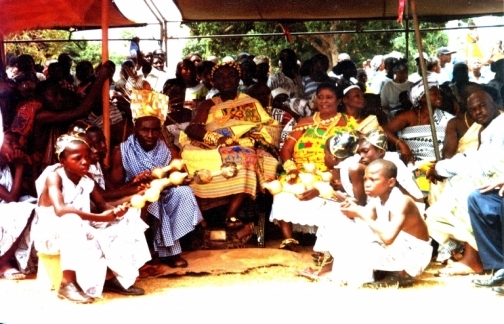 Oral tradition has it that when the king of Denkyira, Nana Boamponsem, needed a royal from Kumase to come and serve at his court, Osei Tutu was the royal chosen for that service. Osei Tutu in turn requested his friend Amankwaatia to accompany him to Denkyira. Amankwaatia willingly accepted the invitation and followed Osei Tutu to Denkyira where both of them served at Denkyirahene's court. Another version of the history states that Amankwaatia was a stool carrier of the Denkyirahene. It was he who saved Nana Osei Tutu when he impregnated Ako Abenaa Bansua, the sister of Denkyirahene. A secret meeting was held where it was decided that he should be killed for the action. However, Amankwaatia who was at the meeting divulged it to Osei Tutu and hurriedly ran away with him in the night to Akwamu. In either way, Amankwaatia was with Nana Osei Tutu both in Denkyira and Akwamu. They also studied the war tactics of the Akwamu people together. 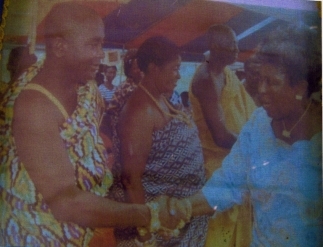 The current Omanhene of Awua Domase, Nana Kwame Korang VI, greeting Mr Aliu Mahama, the Vice President of the Republic of Ghana, at a State function. 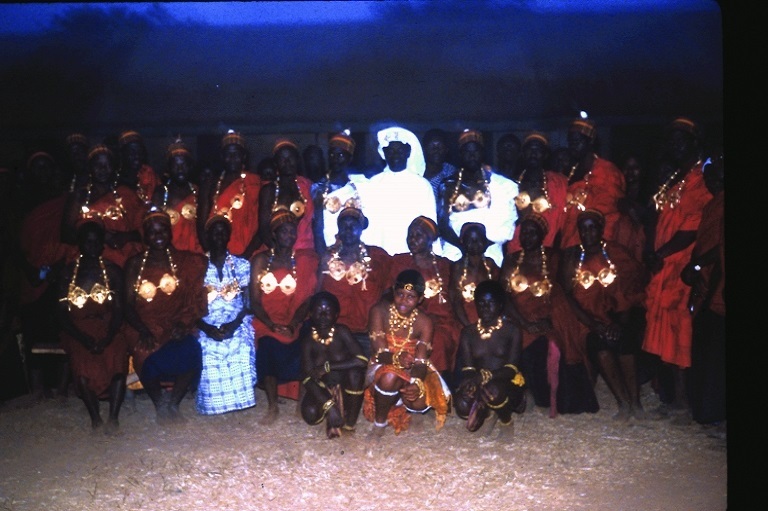 The Queenmother of Awua Domase is standing to the left of Nana, as is customary. For the Bantama chief: merely the mention of the word ntwoma, red clay, i.e. a sign of mourning. 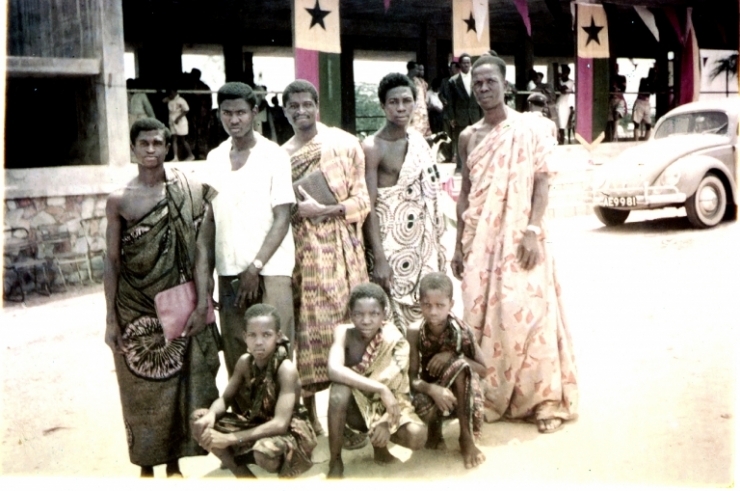 This taboo had its origin in the fact that Amankwatia- later a famous chief of Bantama- was returning from Akwamu, accompanying Osai Tutu [Osei Tutu], before the latter became king, when news was brought to the latter of the death of Obiri Yeboa, the Ashanti king [Kwaman chief, Asante did not exist then]. Amankwatia then offered himself as an akyer (a sacrifice) and was smeared with red clay preparatory to being killed. Later, Osae Tutu released him, and he lived to become his great general. The fine for its use is osoa ne domma (£2 7s. 0d).